Saudi Arabia has secured a trip to compete in the next World Cup in 2018 after defeating Japan 1-0 in their last AFC Round 3 Group B match on Tuesday. The World Cup in 2018 is being hosted by Russia, and matches will be played in cities across the country. According to FIFA, Saudi Arabia finished in second place in their group behind Japan with 19 points, but secured their place in the finals thanks to the goal difference ahead of Australia who also have 19 points. It will be the fifth appearance for Saudi Arabia in the FIFA World Cup after qualifying for the first time back in 1994. 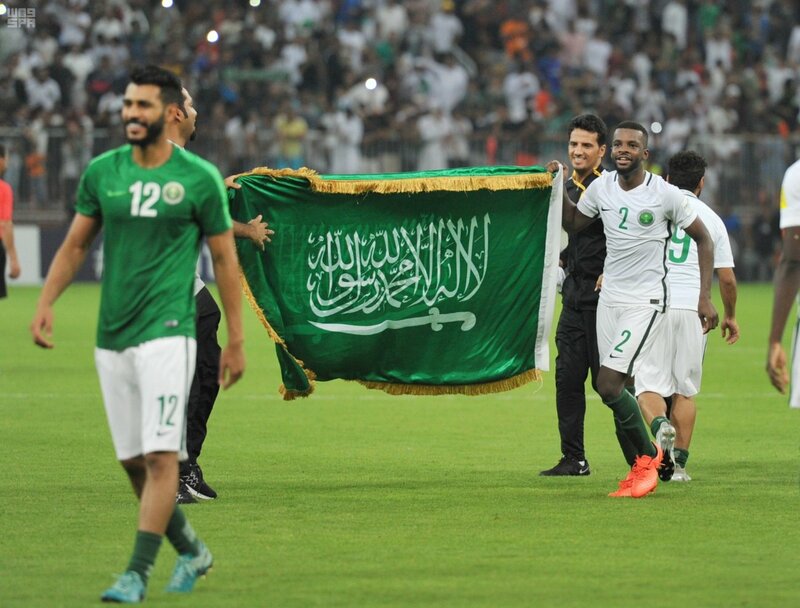 Crown Prince Mohammed bin Salman, in a nod to Saudi fans of the national team, gave fans free admittance to King Abdullah Sports City Stadium in Jeddah to watch the the pivotal victory against Japan. Saudi Arabia’s players and fans celebrated their secured bid to the World Cup next year by lifting the team’s head coach Bert van Marwijk into the air and posing for a team picture with a trophy.